These brown sugar brioche cinnamon rolls are bound to become a holiday favorite in your household. 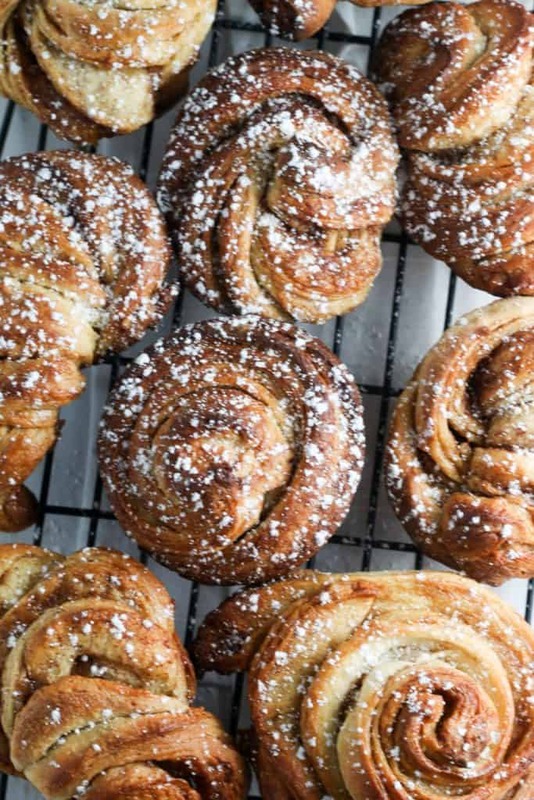 Start with a classic brioche dough and then turn it into these crazy delicious cinnamon rolls. 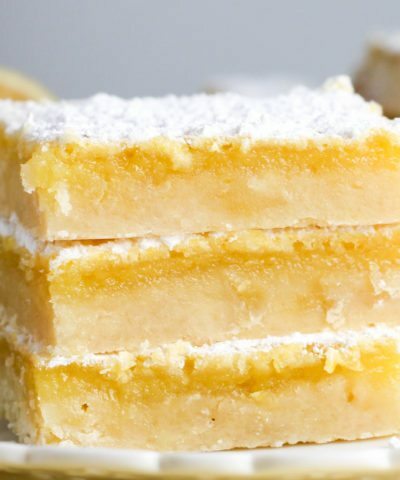 With lots of brown sugar and melted butter these melt in your mouth. 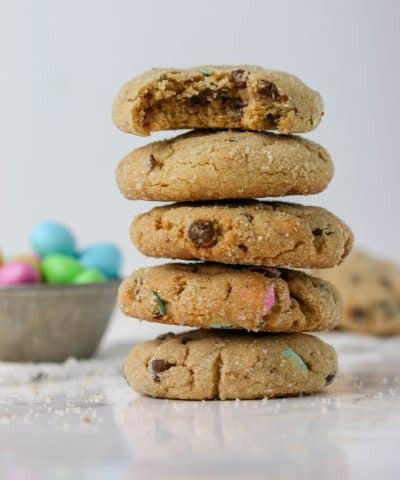 Join my baking community and recieve my FREE Baking With Yeast Cheatsheet to make baking with yeast easy! Whenever I’m baking and trying new recipes, I always think to myself for certain ones “Now that would go on the menu, if I ever open my dream bakery”. 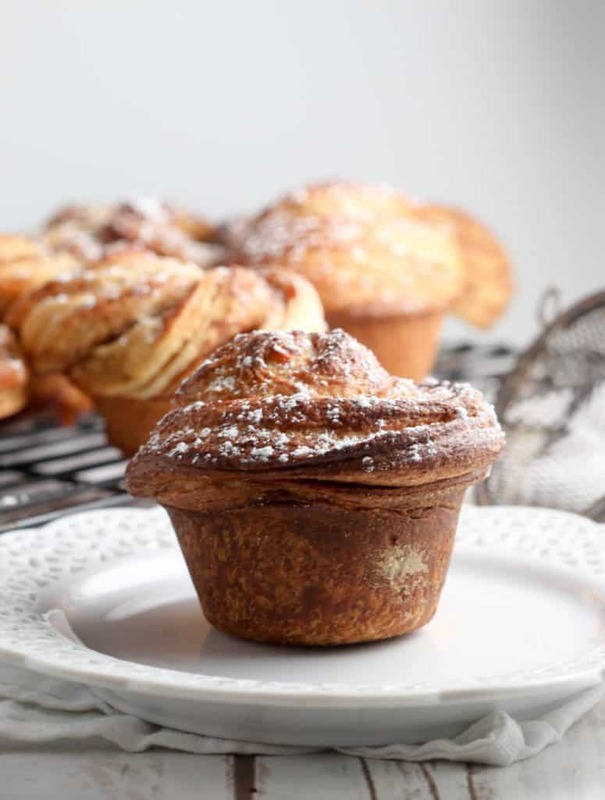 And friend, these brown sugar cinnamon brioche rolls would be the star of my menu. Let’s just say when they came out of the oven, two disappeared very quickly. The ultimate test to me that these are darn good. 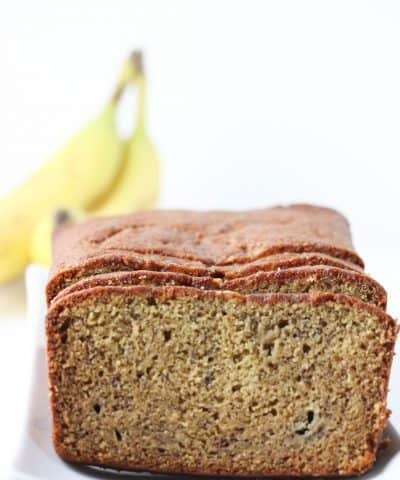 This recipe is adapted from my new favorite cookbook, The Fearless Baker. It’s one of my top picks for gifts for baker this year. If you need a last minute gift for the baker on your list, you can check out the entire gift guide here. The original recipe called for maple sugar, which you can use. However, I had none on hand. I couldn’t find any in my grocery store, either. So I decided to stick to two flavors that I know and love. Brown sugar. Cinnamon. It’s like a heavenly cinnamon bun. The recipe starts with making a classic brioche dough. First start by adding in your dry ingredients and instant yeast. If you’re new to working with yeast, then get my baking with yeast cheatsheet! A brioche dough is a rich dough that has milk, sugar, butter and eggs added to it. You want to use your stand mixer with the dough hook attachment to knead this dough. This dough will be sticky and shaggy before you add in your butter. And you want to add in your butter slowly. 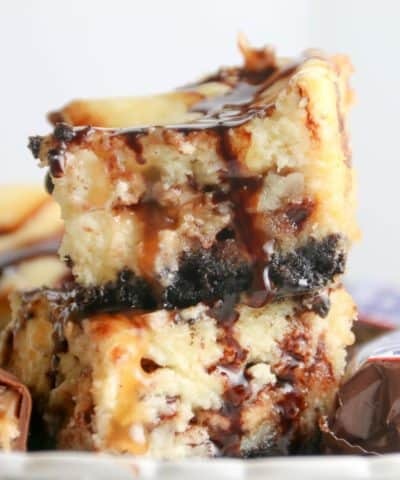 Plop in one tablespoon in a time. This should take you about 3 minutes. Add it too quickly and you will end up with a greasy disaster. So take your time friends. 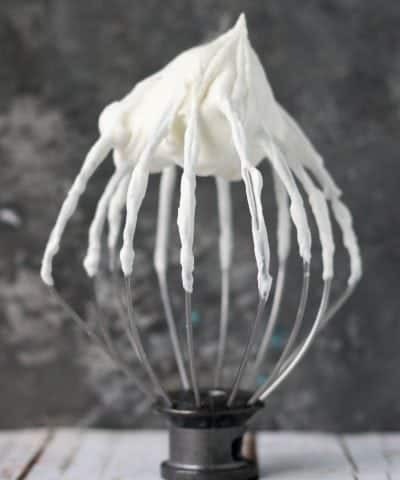 Now as you are adding the butter to your mixer, your mixer may try and run away on you. Mine try to make a run for it right off the counter. Don’t be alarmed by it. This is intense mixing! Once your butter is in, the dough needs a nice long nap in a big mixing bowl. Like 12 hours long. Yup, this dough is going to rise overnight in your fridge. The reason for the slow overnight rise? Better flavor. Because brioche dough is enriched with milk, eggs, sugar, and plenty of butter this slows down the yeast activity so it doesn’t rise as much as other doughs. So the slow rise in the fridge = better flavor. So let it rest! If you really can’t wait, then use warm milk and let the dough rise until it’s double in size (about 60 to 90 minutes). 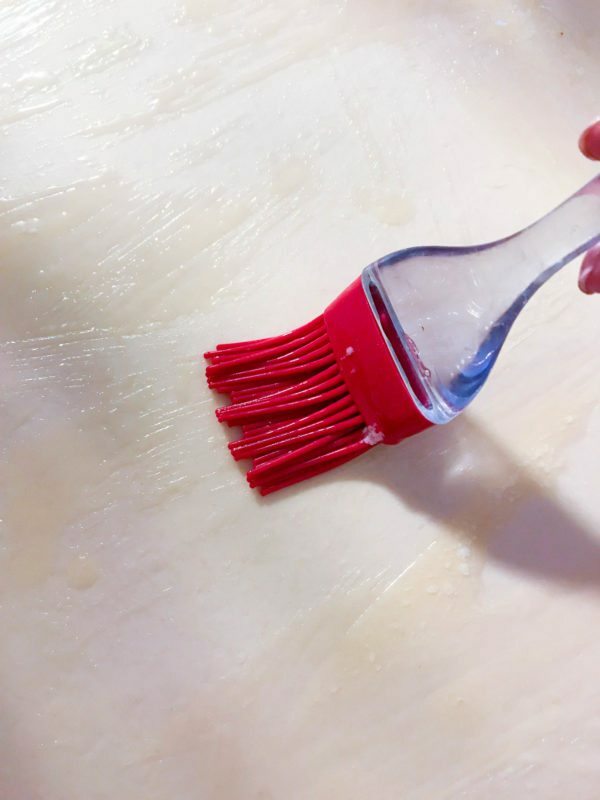 Then press the dough into an even layer on a baking sheet, cover with plastic wrap snugly against the surface and refrigerate for 30 minutes (or freeze for 10 to 15 minutes) before proceeding with the rest of the recipe. Now usually to get all those flaky layers, you would need to make a solid block of butter that is rolled and folded between layers of the dough. Here is what rocks about this recipe- its a faux-laminated dough. A faux-huh? Faux laminated. Meaning it cheats and uses melted butter. Melted butter get spread on the dough after each time you roll it out. I apologize for the shadows in this photo 🙂 but you get the idea. 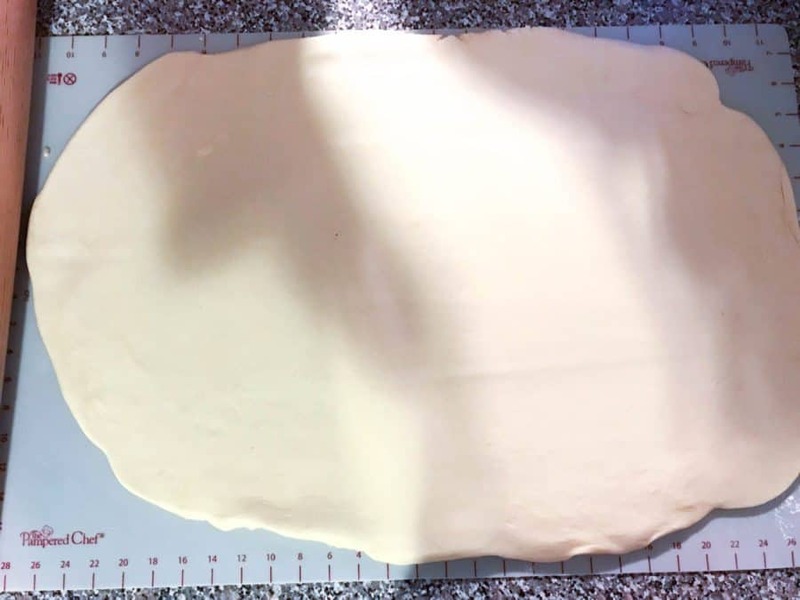 Roll out your dough to 20×12 inches. Top with brown sugar and cinnamon. Fold the left side over 3/4 of the way. Fold the right side over to meet the left side. Then fold it like a book with an off-set spine. Then repeat that process and roll it out again, brush with more melted butter, sprinkle with brown sugar and cinnamon. Then roll the dough 1/3 of the way over. Fold the other side over it. You will repeat these two folding processes each again. Then roll it out again one more time. Cut the dough into 16 strips. Fold each strip into a tight spiral and place in your muffin tins! To make the rolling and folding steps a bit easier, I can’t recommend enough a pastry mat. It has measurements on the side so you can ensure you have rolled out the dough to the correct size. It’s one my baking must haves in the kitchen. If you find the dough is sticking on you a bit or getting too warm, simply pop the dough in the fridge for 10 to 15 minutes. I had to do this twice during the process. Don’t fight the dough. Just chill. Relax. And the get back to work. Once you have done all that rolling and folding, it’s time to cut these rolls. This recipe makes 16 rolls in all. I used my pizza cutter to make quick clean cuts for the rolls. You will cut the dough into 16 strips and roll each one up into a tight spiral. Each spiral gets placed into a muffin well, spiral side up. The recipe requires two muffin pans, but you won’t fill both fully. Fill the outer cups of the pans and leave the center cavities empty- this helps the rolls bake evenly. When these rolls bake, they took on two shapes. One of a true cinnamon bun, while the second was more of a fanned out lobster tail. It just depends on how much of the bun you sneak into the muffin well. To be honest, neither shape made a difference to me. I did not discriminate and ate them all. I sprinkled them with a bit of powdered sugar. 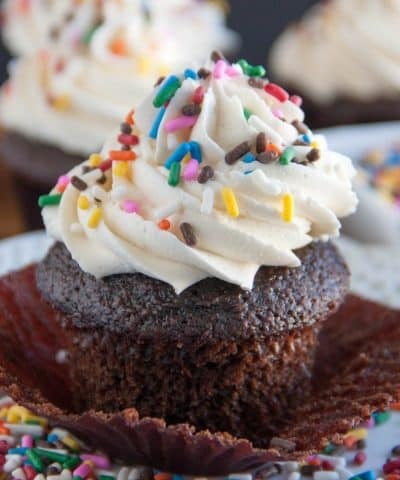 Although a powdered sugar icing drizzled over them wouldn’t be a bad addition at all. 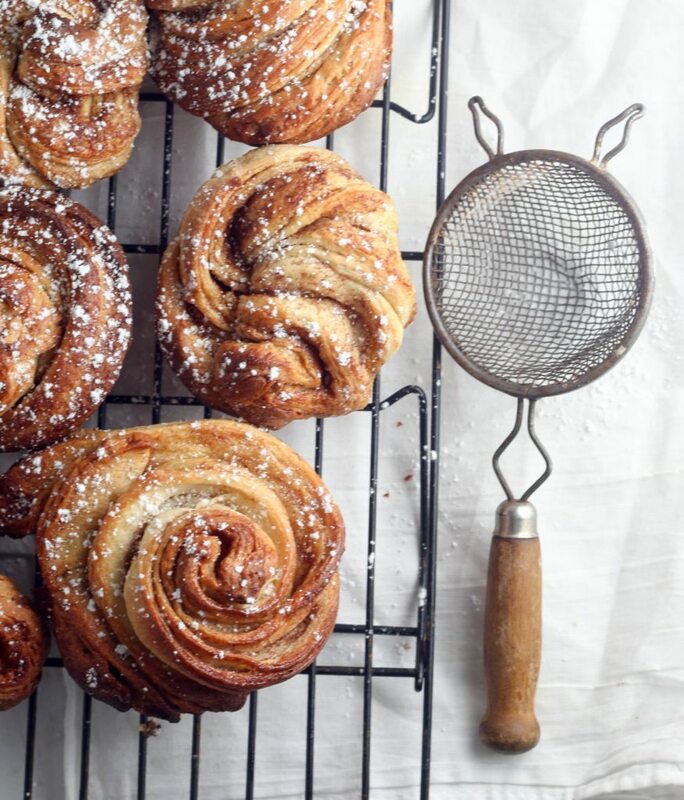 Can I Make These Brioche Cinnamon Rolls Ahead Of Time? Oh yes! In fact, I highly recommend it because these do take some time. Make Ahead and Storage: These rolls are best the day they are made. But you can keep them in an airtight container for up to two days. And to get that “just baked” softness, I simply popped them into the microwave for about 30 seconds. Good as new. So welcome to my imaginary bakery. And the only thing on the menu? These brown sugar cinnamon brioche rolls. One bite, and you will know why. For more help in making yeast doughs like this one, then be sure to read my Ultimate Guide on Making Homemade Bread Recipes! And don’t forget to download my free baking with yeast cheatsheet! 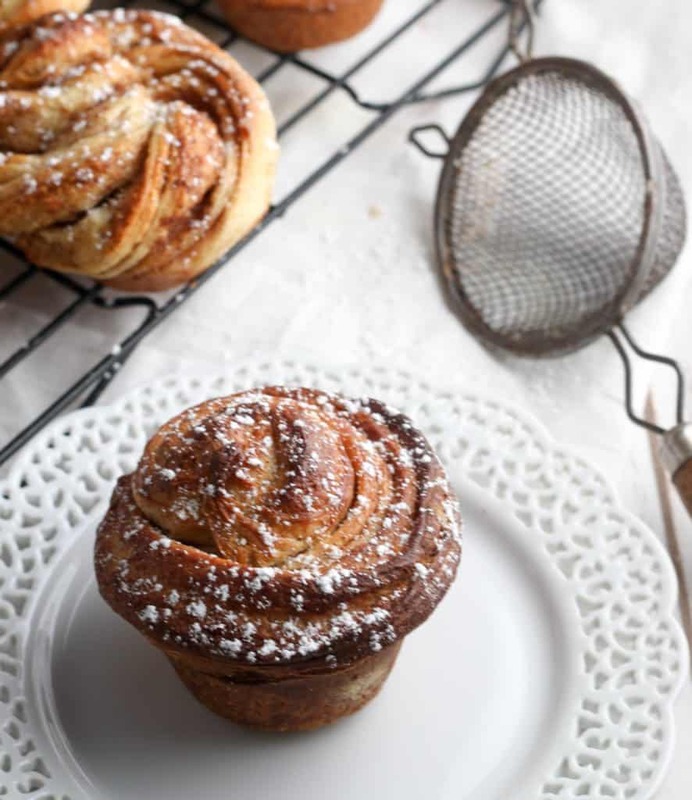 Brioche cinnamon rolls that are the perfect Christmas morning treat! 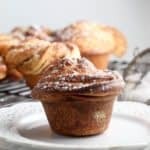 Make the brioche dough: In the bowl of a stand mixer, fitted with a dough hook, mix the flour, granulated sugar, and salt on low speed to combine. Add the yeast and mix to combine, 10 to 15 seconds more. Add the eggs and milk and mix for 4 minutes. The dough should form a sticky, shaggy ball around the hook. 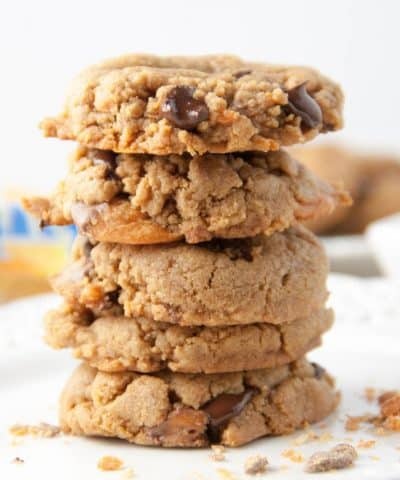 Increase the speed to medium and slowly add the butter to 1 tablespoon at a time, being careful to incorporate each addition before adding the next; the entire process should take about 3 minutes (If you add the butter too quickly, it can create a greasy disaster in the bowl, so pace it out.) 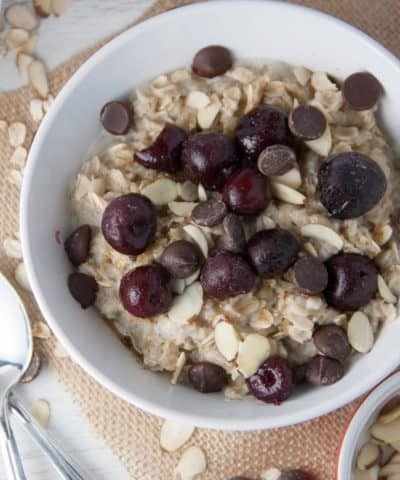 Scrape the bowl down once or twice to make sure everything is homogenous. (This is intense mixing, so don't be alarmed if the mixing is noisy or difficult, it will come together). Then knead the dough until it is smooth and uniform, 1 minute more. 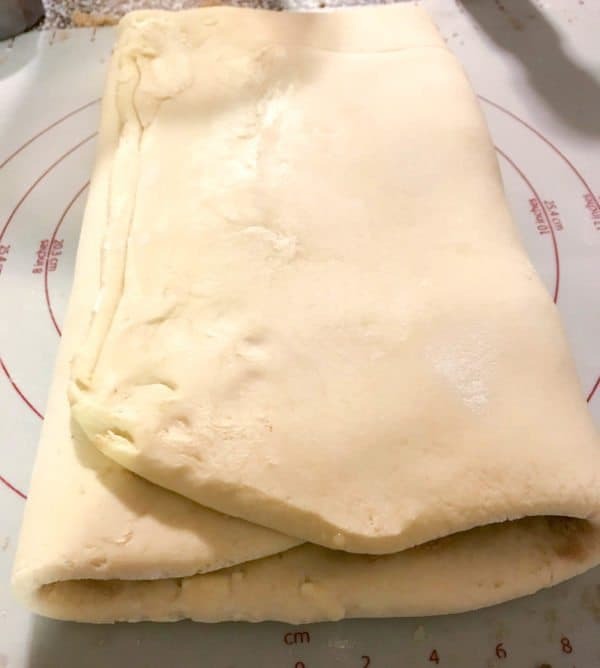 The next day make the rolls: On a lightly floured surface (I use my pastry mat), roll the dough out to a 1/2-inch-thick rectangle, about 20 to 12 inches. Brush the surface of the dough evenly with melted butter and sprinkle 3-4 tablespoons of brown sugar over the dough and sprinkle with cinnamon. I admit I didn't measure this step, but just sprinkled until the entire surface was lightly covered with cinnamon. You can add as little or as much as you like. Position the dough so that one of the long sides is facing you. Fold the left edge over toward the center, about 3/4 of the way over the dough. Fold the right edge one quarter of the way over the dough and make sure it meets and touches the left edge. 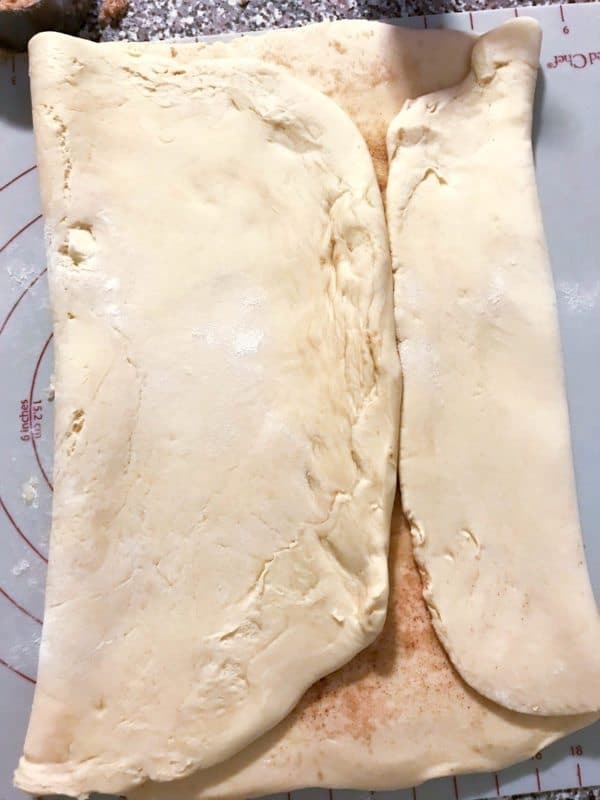 The dough will now look somewhat like an open book with an off-center spine. Fold the larger side over the smaller side. You will now have 4 layers of dough. Transfer the dough to a parchment-lined baking sheet. If the dough feels warm, cover it with plastic wrap and refrigerate for 10 to 15 minutes. If it's still cool to the touch and easy to work with, proceed with the next steps. 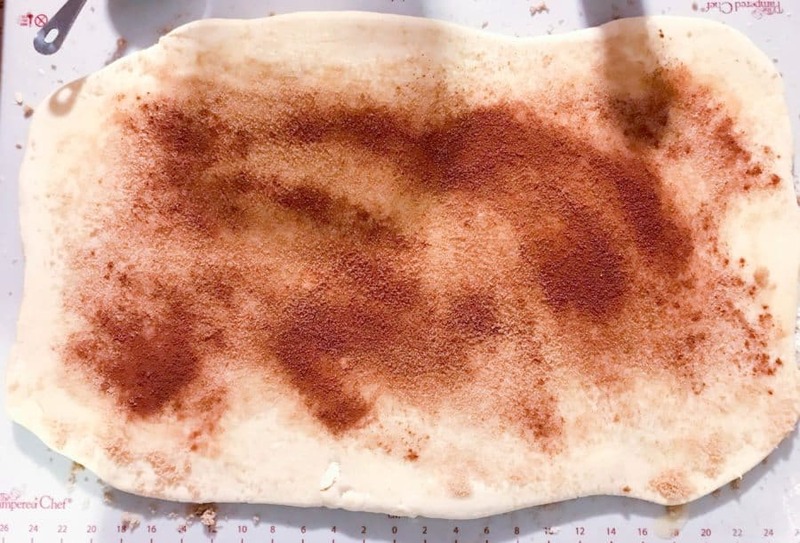 Roll out the dough again to a rectangle about 20 to 12 inches, brush it with melted butter, and sprinkle it with another 3-4 tablespoons of brown sugar and more cinnamon. Position the dough so that one of the long sides is facing you. Fold the left edge of the dough one third of the way over the dough. 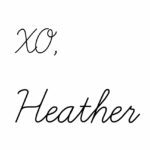 Do the same with the right edge of the dough, resting it on top of the piece you just folded over, as though you were folding a letter to fit into a business envelope. You will now have 3 layers of dough. 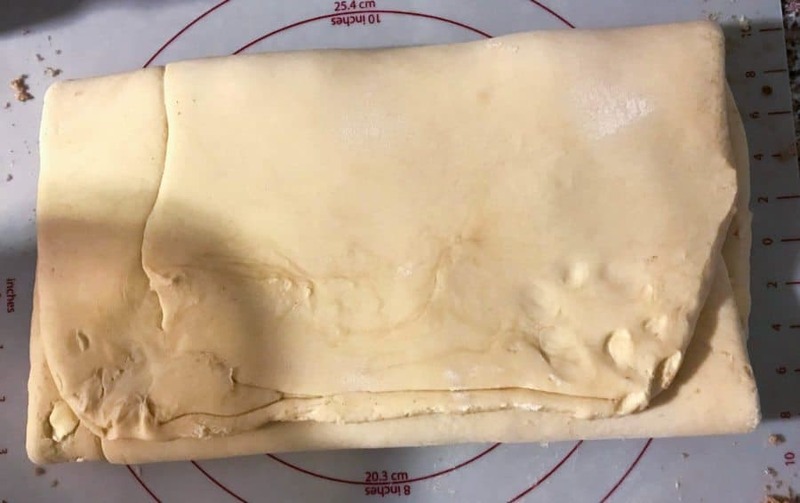 If the dough is warming up and becoming less easy to work with, transfer it back to the baking sheet, cover it with plastic wrap, and refrigerate for 10 to 15 minutes. Repeat step 4 so you have 4 layers again. If the dough feels warm or sticky at any point during this process, refrigerate it for 10 to 15 minutes before proceeding. Repeat step 5 so you have 3 layers again. If the dough feels warm or sticky at any point during this process, refrigerate it for 10 to 15 minutes before proceeding. Wrap the finished dough in plastic wrap and refrigerate for 10 to 15 minutes. On a lightly floured surface, roll out the dough one more time to a 1/2-inch-thick rectangle, about 20 to 12 inches. 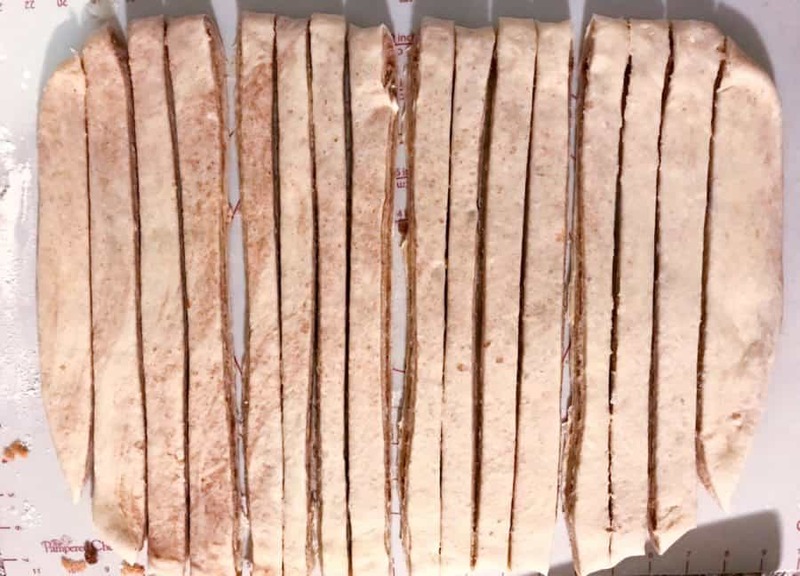 Cut the dough lengthwise into 16 strips. Tightly roll each strip up into a spiral and place it spiral side up in a cup in one of the prepared muffin pans. Cover the pan with greased plastic wrap and let the rolls rise until they appear puffy, 30 to 45 minutes. Pre-heat the oven to 375oF with racks in the upper and lower thirds. Sprinkle the chilled rolls with more brown sugar and cinnamon if you want (I chose not too). Bake, rotating the sheets from front to back and top to bottom at the halfway mark, until the rolls are evenly golden brown all over and the internal temperature register 190oF on an digital thermometer, about 25 to 33 minutes. Cool for 15 minutes in the pan, then invert onto a wire rack to cool completely. To make the rolling and folding steps a bit easier, I can't recommend enough a pastry mat. It has measurements on the side so you can ensure you have rolled out the dough to the correct size. It's one my baking must haves in the kitchen. Don't fight the dough. Just chill. Relax. And the get back to work. Once you have done all that rolling and folding, it's time to cut these rolls. This recipe makes 16 rolls in all. I used my pizza cutter to make quick clean cuts for the rolls. You will cut the dough into 16 strips and roll each one up into a tight spiral. 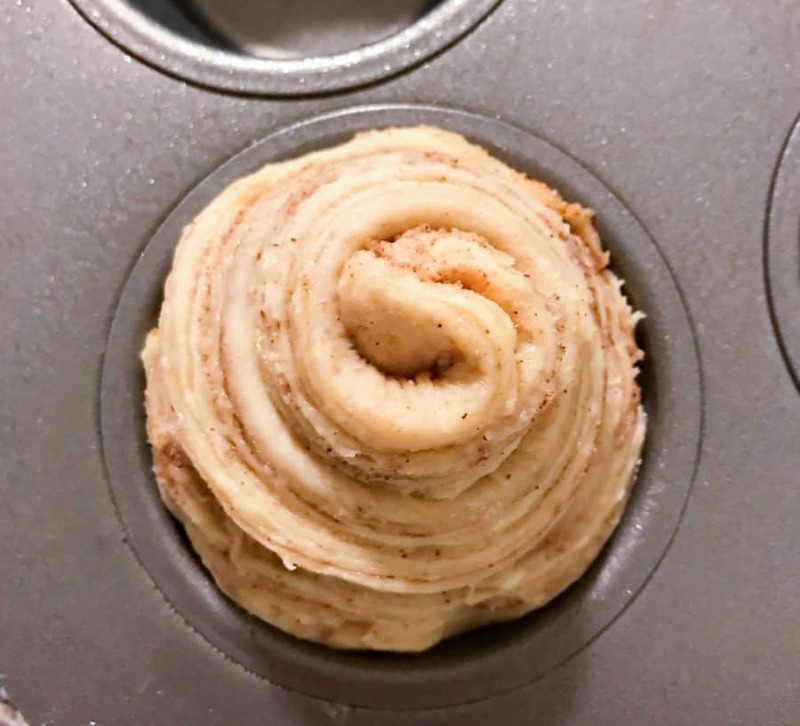 Each spiral gets placed into a muffin well, spiral side up. The recipe requires two muffin pans, but you won't fill both fully. Fill the outer cups of the pans and leave the center cavities empty- this helps the rolls bake evenly.